Curtis, K. L., Greve, K. W., & Bianchini, K. J. (2009). The Wechsler Adult Intelligence Scale-III and Malingering in Traumatic Brain Injury Classification Accuracy in Known Groups. Assessment, 16(4), 401-41 (click here). A known-groups design was used to determine the classification accuracy of Wechsler Adult Intelligence Scale–III (WAIS-III) variables in detecting malingered neurocognitive dysfunction (MND) in traumatic brain injury (TBI). TBI patients were classified into the following groups: (a) mild TBI not-MND (n = 26), (b) mild TBI MND (n = 31), and (c) moderate/severe (M/S) TBI not-MND (n = 26). A sample of 80 general clinical patients was used for comparison. Verbal IQ, Verbal Comprehension Index, and Working Memory Index detected approximately 25% of malingerers with a false positive (FP) error rate of approximately 5% in the mild TBI group. Comparable FP rates were obtained in M/S TBI. FP rates for Performance IQ, Perceptual Organization Index, and Processing Speed Index were acceptable in mild TBI but too high in M/S TBI. Previously studied specialized indicators (Vocabulary minus Digit Span and the Mittenberg formula) failed to differentiate malingerers from nonmalingerers. The clinical application of these findings is discussed. Significant controversy surrounds how psychologists should balance competing interests when considering whether and under what conditions third parties should be permitted to be present during psychological evaluations. This is especially true in forensic contexts where much is often at stake for those being assessed. Unfortunately, existing professional statements on this issue provide limited guidance to practitioners on how to think about this issue. In this article, the authors (a) distinguish between different types of third party participants, (b) highlight the competing interests that underlie third party presence decisions, and (c) offer a framework for psychologists to employ when considering third party presence. The StandDown Texas Project just made a post indicating that after Thanksgiving the first person to possibly be executed may be mentally retarded (intellectual disability). The initial ICDP post re: Woods v Texas (plus links to relevant court decisions) can be viewed by clicking here. As one can surmise from my initial post, the Woods case contains a quagmire of psychometric issues. The StandDown report includes a link to a Texas newspaper that has posted a brief online interview with Woods. State of Kentucky death penalty moratorium and ABA-lead review story can be found at the DPIC. brain-based psychopathology diagnosis for defendant. As most of you have probably heard, the neuropsychology community suffered a deep loss with the passing of Dr. Edith Kaplan on September 3, 2009, at the age of 85. At the 20th anniversary of the West Coast Neuropsychology Conference, we will honor the life and works of Edith as part of a program on child neuropsychology that she and I were in the middle of organizing when Edith succumbed to complications related to heart surgery. The internationally renowned speakers at the 2010 conference will present their latest findings on the assessment and remediation of cognitive and behavioral impairments in pre-school and school-aged children. The speakers will (a) emphasize practical tools that clinicians and educators can use to provide comprehensive assessments and remediation strategies for children with neurocognitive deficits; and (b) highlight the role that Edith's work played in their particular line of research. This year's conference will also feature a pre-conference workshop on a new set of assessment tools – the Advanced Clinical Solutions for the WAIS-IV and WMS-IV – which provides new subtests, demographic-corrected norms, and effort measures designed for patients between the ages of 16 and 89. Thus, the preconference workshop on Thursday evening will be in the area of adolescent and adult neuropsychology, and the main conference from Friday to Sunday will be in the area of child neuropsychology. The program is intended for neuropsychologists, clinical psychologists, school psychologists, speech therapists, learning specialists, educators, psychiatrists, neurologists, and other interested health professionals. I cordially invite you to join us for this exciting and informative program and look forward to hosting you in San Diego, America's finest city. Copyright 2010, University of California, San Diego. All rights reserved. 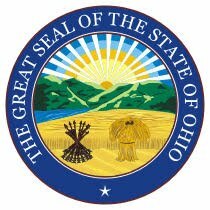 A dozen State of Ohio Atkins MR death penalty decisions have just been posted to the "Court Decisions" section of the ICDP blog. Another gracious tip-of-the-hat to Kevin Foley, a regular guest blogger at ICDP, for providing copies. A total of n=55 decisions are now available for reading and research. More reviews on The Last Lawyer...this time from DPIC. Kevin Foley, a major resource for ICDP P, has authored a online book on malingering in litigation. It is somehow accessible via the Loislaw web site. This web site is included in IDCPs blogroll. A quick reading of a small sample of Atkins MR/ID death penalty court decisions makes it clear that the issue of malingering is often a critical component of expert testimony. I am not an expert on the state-of-the-art of the psychometric integrity of various malingering measures used to purportedly detect defendant malingering. Clearly in capital punishment cases there is the possibility of a strong motivation to score low on IQ tests or standardized measures of adaptive behavior -- lower scores may make the difference between execution or life in prison without parole. Not being an expert in this area of forensic assessment, I'm going to try provide information from high quality sources re: the state-of-the art of malingering assessment. Also, when appropriate, I will point out situations of inappropriate (unethical?) malingering assessment methods when they are obvious. This current post contains a sampling of interesting malingering issues, research, and an example of inappropriate malingering assessment. 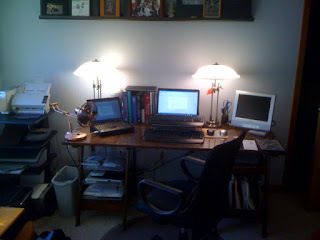 Click here for prior posts re: malingering issues, research and references. What does the research say about malingering assessment in the context of intellectual disability determination? I've found the scholarly work of Salekin and Doane to be of particular value in providing an evaluation of the research in this area. Below are two recent journal articles by Salekin and Doane. I believe the abstracts/summaries speak for themselves. Doane, B., & Salekin, K. L. (2009). Susceptibility of current adaptive behavior measures to feigned deficits. Law and Human Behavior, 33, 329-343. The current study examined the susceptibility of the Adaptive Behavior Assessment System—2nd edition (ABAS-II; Harrison & Oakland, 2003) and the Scales of Independent Behavior—Revised (S1B-R; Bruininks, Woodcock, Weatherman, & Hill, 1996) to the feigning of adaptive functioning deficits. Using four different instruction sets, the authors evaluated whether the provision of diagnostic information (a form of coaching) improved participants’ ability to simulate adaptive deficits commensurate with a diagnosis of mental retardation. The authors found that the ABAS-II was quite vulnerable to believable manipulation by raters, while the SIB-R was not. In fact, exaggeration on the SIB-R was easily detected regardless of the information provided. Implications regarding the use of these measures in Atkins mental retardation evaluations are discussed. Salekin, K. L., & Doane, B. (2009). Malingering intellectual disability: The value of available measures and methods. Applied Neuropsychology, 16, 105-113. Atkins v. Virginia (2002) is a case that has changed the landscape in relation to the assessment of malingering in a legal context. This landmark decision abolished the death penalty for defendants found to have intellectual disability (ID; formally known as mental retardation), but limitations in our assessment techniques lead to questions regarding the veracity of ID claims. In fact, Justice Scalia noted with clarity that concerns exist regarding the ability of individuals to feign ID and to do so successfully. At the time of writing, little empirical research has been completed, but that which exists demonstrates an overall lack of validity for traditional measures of cognitive malingering for use with this population. This manuscript provides an overview of the utility of many of the traditional measures of malingering for use with an ID population and serves as a call for research in this very important area. In closing, review of the research in the assessment of malingered ID demonstrates that effort tests and indices of cognitive malingering are not working with this population, and that true cases can be misidentified as malingered. Some would say that the inclusion of multiple measures of malingering and the interpretation of all of the data together, rather than tests in isolation, provide control for diagnostic error. But to date, we have no data to suggest that either of these techniques is protective and more importantly, we have no data on how a juror or a judge might be impacted by even the slightest mention of malingering. Though untested, these authors posit that it is very unlikely that a defense expert will succeed in supporting an Atkins claim if there is even a hint that malingering may have occurred. Schlesinger, L. B. (2003). A case study involving competency to stand trial: Incompetent defendant, incompetent examiner, or "malingering by proxy" ? Psychology, Public Policy, and Law, 9 (3/4), 381-399. The most blatant kind of examiner bias, however, is seen mostly in forensic cases: the deliberate, conscious intent to distort or misrepresent findings for partisan purposes. This sort of conduct is a breach of professional ethics (Committee on Ethical Guidelines for Forensic Psychologists, 1991), unlike the involuntary forms of bias resulting from patient attributes. There is yet another variety of examiner bias that is not an automatic act of impaired judgment arising from patient demographics, nor is it an intentional falsification of results. 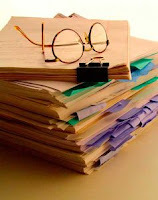 Here, the forensic psychologist finds in the defendant (nonexistent) signs, symptoms, or disorders that were initially suggested by the referring attorney. External incentives (such as economic gain) are typically absent. The effect, which could be called “malingering by proxy,” derives from the forceful opinions of the legal advocate, which can be quite contagious. My impression is that this form of examiner bias is not an uncommon occurrence in forensic work, where the structure of relationships leaves the clinician particularly vulnerable to such (nonconscious) infection. Hello Dr. Z; I was referred to you by a psychiatrist, Dr. Y. She told me you had worked with her on many cases. Your colleague regards you highly and said you are one of the top forensic psychologists in the area. I’d like to retain your services for help with a client I represent. Dr. Y. saw my client yesterday and thought he was mentally retarded. My law partner and I just came back from the county jail, and he seemed retarded to the both of us. We all think he is incompetent to stand trial. Can I count on you to be part of the defense team? By the way, don’t worry about your fee; my client’s family is very supportive of him, and they’ll be sure to pay you promptly. After an introduction like this, some consultants may find it difficult to disregard the flattery or to challenge members of a “team” they are about to join. However, if forensic psychologists are not careful at this point, they could succumb to a form of examiner bias that could jeopardize the entire evaluation before they have even met the defendant. Standard 11.2. When a test is to be used for a purpose for which little or no documentation is available, the user is responsible for obtaining evidence of the test's validity and reliability for this purpose. Can a mild MR/ID person fail to be formally diagnosed before the age of 18? Do Forrest Gump's exist? The third prong of MR/ID identification in Atkins hearings is the need for MR/ID to be diagnosed before the age of 18. There are a number of potential problems with implementing this part of the MR/ID definition. The question should be asked: "Is it possible for someone who is mild MR (e.g., IQ=70) to NOT be identified as MR/ID while they are in school?" The answer is "yes." One cannot assume that the lack of MR/ID identification or special educations services during a person's formative school years (up to age 18) means they were not eligible for those services at the time. How can this be? It is well-established that schools were and are reluctant to classify children as mentally retarded, particularly African-American students since the 1970s (MacMillan & Siperstein, 2002). Schools frequently assign a more ‘‘palatable’’ label to students who would otherwise be classified as mentally retarded, using labels such as ‘‘specific learning disability’’ or ‘‘speech and language impairment.’’ In Atkins cases, this frequently works against the defense’s efforts because there is no developmental history of an individual ever being diagnosed as mentally retarded, thereby making it difficult to prove the developmental criterion of mental retardation.(p.9). Second, there has been a long-held (mistaken) assumption, both in the lay public and with many professionals who do intelligence testing, that a person's IQ score sets a limit on their academic learning. That is, because of their limited intellectual ability (IQ), one cannot expect these individuals to achieve at levels above their measured IQ. This is a false assumption. For any given level of IQ scores, there is a normal distribution of achievement around that level of intelligence. Half of the population with a specific IQ score will score at or below that IQ score (what many people assume to be correct), but half of the population with that IQ will score above that IQ score...and some by a large amount (what many people fail to recognize and understand). Assuming you have followed my directions, you now know that it is just as likely for a student with an IQ of 70 to be achieving above their tested intelligence as it is to be achieving below their level of tested intelligence. Why is this important for the third prong of Atkins decisions? This is important because (and if folks want some references and articles I'll dig them up...it was research done in the mid to late 1970's) it is known that there are "gatekeeping" characteristics of students that increase the probability they will be referred to special education for assessment. Typically these are low achievement , behavior problems, ADHD, etc.. Thus, many school special education and school psychology personal end up seeing those students with mild MR (in this example IQ=70) who are a biased sample of the complete population of students with the same level of intelligence. Those who are not achieving satisfactorily or who dispaly behavior problems, are likely to be referred. Those who sit still, listen, attend, don't bother others, and who demonstrate achievement at levels that a classroom teacher can manage, are typically not referred. These later students, some who may have an IQ of 70, go unnoticed and undiagnosed as they progress through the school system. As demonstrated in the reports and slideshows, a decent number of these students will demonstrate achievement levels above that often expected for a person with an IQ of 70...often into the range considered low average or average for a grade. They may have the same level of cognitive abilities, but are not identified or referred for testing and classification because of their decent achievement and good behavior. Bottom line. It is possible for an individual in the upper end of the mild MR/ID ranges to NOT be referred for special education testing and/or services, even though their level of measured of intelligence might make them eligible for "MR/ID" services. The absence of placement in an MR/ID program (and the lack of IQ testing) during an individuals school career does not preclude the possibility that they may have meet the magical IQ score for services ONLY if they had been referred. The occurrence of IQ testing and special education services during an individuals formative years of life (up to age 18) does NOT mean that they can not be diagnosed MR/ID later in life. Of course, there are all kinds of caveats and special "what ifs" that I could address. One would be the need to look at the distribution of achievement scores for individuals with mild MR IQs and concurrent measured deficits in adaptive behavior (as per a standardized adaptive behavior scale)....do they show the same achievement distribution (above and below the measured IQ) as presented in the above materials? This is an empirical question. One needs data on samples where subjects have scores from IQ, achievement, and adaptive behavior measures to answer this question empirically. I may have some such data sets in my files and plan to locate them and see if they have sufficient sample sizes and measures to evaluate this question. It is possible for a person to NOT be identified as MR/ID before the age of 18. Identification before the age of 18 is a complex interplay of individual characteristics of the person and characteristics of the school social system and social-political policies in-place at the time. With the permission of the author of the reproduced email below, I'm making this as an FYI courtesy post. I’m a fellow at Human Rights Watch and the ACLU and will be documenting the experiences of noncitizens with mental disabilities in US immigration removal proceedings. 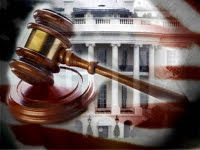 The advocacy objective of our project is to ensure due process protections for individuals with mental disabilities (including intellectual disabilities, severe mental illness, and various gradations of “capacity”) in their legal proceedings. As I prepare for my interviews (in detention facilities across the US), I would appreciate any assistance in developing a protocol for interviewing people with mental disabilities and obtaining informed consent for the interview itself. If you have resources, templates or experience you can share with me, please let me know. 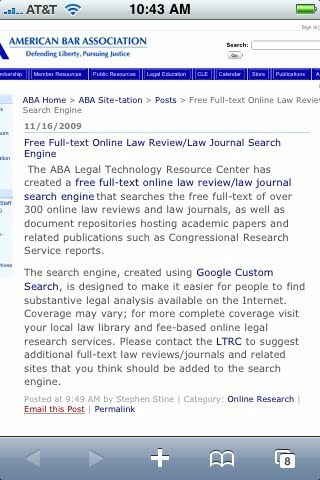 I just ran a search using the new (and free) ABA Google custom search engine of Law Review/Law Journals. I asked for all "Atkins v Virginia" articles. Clicking here will take you to the result. Lots to look through. 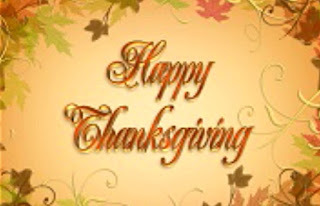 Double click on image to enlarge. 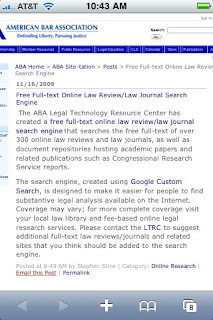 Link to this search engine is here. I've also added it to the blog sidebare. 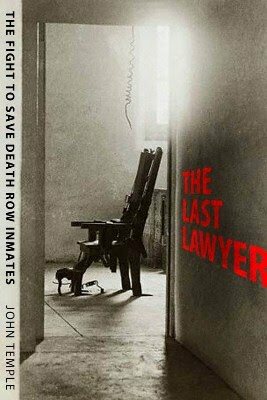 I just finished reading "The Last Lawyer" last night. I would recommend it to anyone who has not been privy to the lengthy, complex and personal winding road of death penalty appeals and the court proceedings. I agree with Leonard Pitts (one of my favorite syndicated columnist) who, on the book jacket, describes the book as reading "like first-class legal fiction, but it's far more compelling because it is, tragically, legal fact." So true. It was an extremely easy read and felt like story unfolding before me. I found myself frequently saying "just one more short chapter" before going to bed. Extremely well written. Readers of this blog will likely find the later half of the book (starting on page 130) particularly interesting (and sobering) as the use of intelligence test scores and the diagnosis of MR/ID becomes a major point of the story. How some of those in the legal field (and one judge in particular) played with the IQ scores and failed to recognize that they are imperfect measures (the need to recognize measurement error) is eye-opening and sobering to those of us involved in intelligence testing development and research. I give it two big thumbs up. Click here for more information about the book and a link to the authors web site. shops. Life has blessed the blogmaster. Articles that caught my eye during my weekly search of journals. Wehmeyer et al. (2008) recently published a particularly instructive paper in this journal on the construct of intellectual disability. The authors carefully distinguished between operational definitions of the term and those intended to describe and explain the potential basis for the condition; the latter they referred to as constitutive. They also discussed a multidimensional model of human functioning as a preferred way of conceptualizing intellectual disabilities, particularly in contrast to those that have been based on biological traits and defects. However, although they asserted that there are differences at the level of construct between the terms intellectual disability and mental retardation, they reaffirmed Schalock et al.’s (2007) point that this does not translate into any difference in the diagnostic process and that ‘‘the term intellectual disability covers the same population (as those) diagnosed previously with mental retardation in number, kind, level, type, and duration’’ (p. 317). The authors also called for input from the field in preparation for the upcoming manual on Definition, Classification and Systems of Support. This article provides input by calling attention to borderline intellectual functioning, a term referring to a potentially large group of people who may also manifest intellectual disabilities. I begin with a brief overview of the history of the term and then address the need for meaningful dialogue of this issue, both to enhance understanding of the intellectual disability construct and to refine clinical practice and education while developing a clear agenda for reinvigorated research. Perske, R. (2009). Joe Arridy, ''The Happiest Man Who Ever Lived on Death Row''. Intellectual and Developmental Disabilities, 47(5), 390-394. (click here to view) --- Additional information re: Joe Arridy can be found at a website devoted to his story. Most persons would feel an unspeakable repulsion about ever living on death row of an American prison. The lights are kept on night and day. Guards watch closely so no inmate can quietly sneak into oblivion before the official government sanctioned ‘‘send-off’’ day. As the day of death comes closer, the physical and mental strain can be awful. How could anyone laugh for joy in a setting like this? There was once a man who did. see if I can locate a copy of the draft. 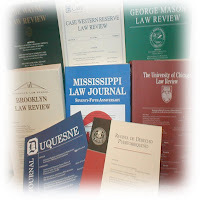 Three new law review articles in the Atkins-Related Law Review Article section of ICDP blog sidebar. Thanks again to Kevin Foley, a never ending source of information re: Atkins issues and resources. Articles can be accessed by visiting the above mentioned section of ICDP. Bonnie, R. J. (2004). The American Psychiatric Association’s Resource Document on Mental Retardation and Capital Sentencing: Implementing Atkins v. Virginia. The Journal of the American Academy of Psychiatry and the Law. 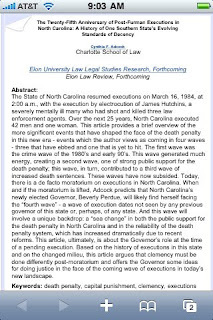 A new twist in Atkins MR death penalty issues...courtesy of Kevin Foley (thanks again). Pruitt v Indiana (2005) and again in 2009 (now posted in the Court Decisions blog sidebar). Below I paraphrase some of the questions raised by this case. What do readers think? In 2005, the Indiana Supreme Court upheld the trial courts original death penalty decision. The interesting twist is that a defense expert testified "that he believed Pruitt was under the influence of the antipsychotic medication Trilifon at the time he took the test and the medication superficially increased his ability, resulting in an over-estimation in that test by three to six points. Pruitt argues that the testimony of Dr. Golden and the medical literature both support this conclusion." (p.11). Pruitt obtained a WAIS full scale IQ 76. In 2009 the court again reaffirmed the death penalty sentence. Of interest is a relatively recent (2007) AMA journal study (Archives of General Psychiatry), by the Clinical Antipsychotic Trials of Intervention Effectiveness (CATIE) research group, re: the efficacy of antipsychotic medications. The study examined the cognitive benefits of different medications including perphenazine (Trilafon). 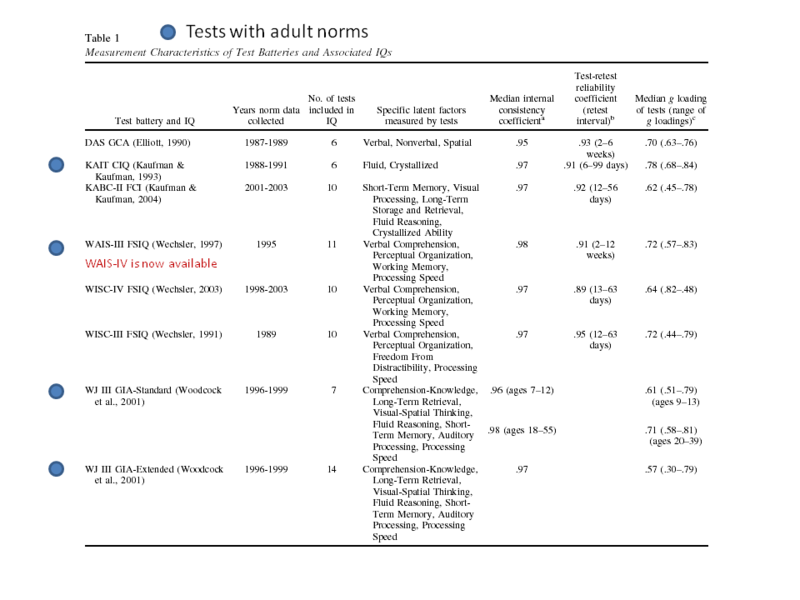 The battery of mental tests did not include a full IQ test, but instead a "neurocognitve" composite comprised of measures of processing speed, reasoning, working memory, verbal memory, and vigilance. The subjects (n=149) on perphenazine showed a statistically significant .25 standard deviation (SD) improvement (after two months) in their composite score. A .25 SD z-score improvement translates to an IQ score change (when on a scale of Mean = 100; SD = 15) of 3.75 (roughly 3-4 IQ points). After 18 months, n=52 of the subjects were again assessed and the SD change from baseline (prior to initiation of medication) was approximately .50 (.49). On a standard IQ test, this would convert to an increase in IQ scores of approximately 7-8 points (7.5). So...was the defense experts claim of an inflated IQ score (due to meds) appropriate...and thus Pruitt should have been ruled to be a person with MR/ID? Or, should one argue that "you can't have your cake and eat it too" ---- that is, claim you cannot be tested when grossly psychotic (and thus not competent to be executed) and then turn around and discount improved cognitive testing when on medication? If a person is functionally retarded (poor cognitive "performance" in the real world) at the time of the crime (due to psychosis), and later, when properly medicated post-crime and tested, obtain IQ scores suggesting higher non-MR cognitive functioning, what should be the decision regarding MR as per Atkins cases? If the defense expert's arguements had swayed the court, would this open the proverbial "slippery slope?" What about all the other medications used in prisons to address prisoner needs and/or behavior (e.g., stimulants for ADHD; meds to help with sleep; etc.). Of course, this type of case raises the whole complex set of issues of dual diagnosis and which is the primary/secondary diagnostic condition. Of course, there are all other kinds of "it depends" issues (standard error of measurement, etc.). Lets put them all aside and pretend they don't exist or have been accounted for. The Walla-Walla Union Bulletin is focusing on the state's death penalty in a 4-part series entitled,"Executing Justice." The series examines issues such as the costs of the death penalty, arbitrariness, and the appeals process.